Deciding on a favourite book is far too cruel. Today, I'm tackling the slightly less daunting question of favourite authors. 1. You probably own several books by your fav author. For me, what differentiates the author of my favourite book from my favourite author is that I love several books — not in the same series, and by that I mean A Song of Ice and Fire doesn't count — by that author. So unless said fav book is a debut, I would eliminate another authors whom I've only read one book or one series by. My fav author would also be an insta-buy for me. Basically if I hear the author is publishing a new book completely unrelated to their previous novels, I will still rave about it to everyone. That requires a dedication to the author that's quite unlike fangirling over a single book or series. Bonus tip: Process of Elimination. Not that this is an exam, but still. You already know your fav author. I mean, it has to be one of the authors you've read a book by! So just head over to your shelf (Goodreads or physical or otherwise) and stare at it. For a very long while. 2. Chances are, your fav author writes in your fav genre. I'll freely admit I'm not a fan of romance or contemporary, and even though I've read some works in those genres, I'm hardly likely to call an author who primarily writes in those genres my favourite. On the other hand, I'm a huge nerd for fantasy and spec fic in general. I read the most from these genres — it does make sense my fav author also writes most in this genre. Bonus tip: this IB student discusses inductive vs deductive reasoning. TOK FTW! I actually dislike Theory of Knowledge. 3. Don't forget to consider writing style! I attribute this to voice. Preferences for writing style vary a great deal, but chances are, your fav author writes in a style you enjoy. It'd be quite shocking if you enjoyed many of their books while disliking their style. 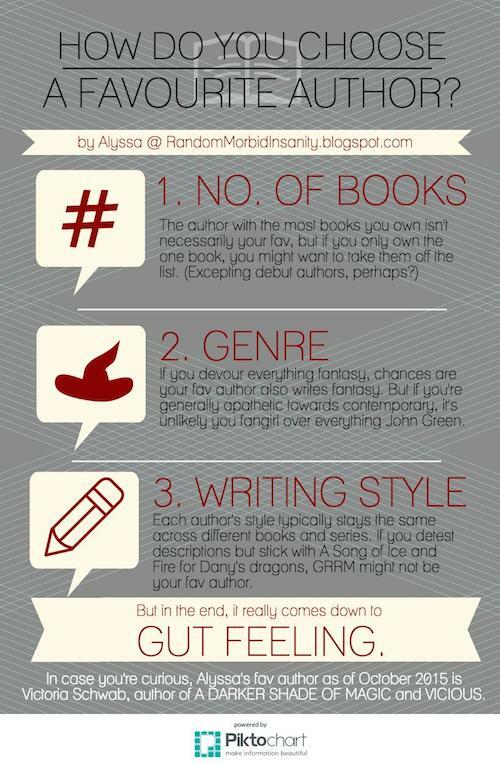 Is the infographic helpful in finding your fav author? Who are some of your fav authors? 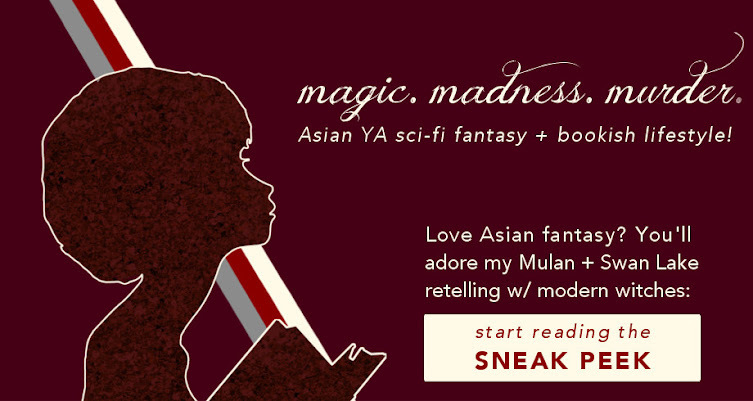 Delivery Fangirl is an original blog feature on The Devil Orders Takeout, featuring questions from my favourite books and movies, preferred headcanons, and the importance of diversity.